Barbie Pushes Global Initiative To Champion Girls' Limitless Potential With "Dream Gap Project" | Mattel Inc.
Barbie Pushes Global Initiative To Champion Girls' Limitless Potential With "Dream Gap Project"
EL SEGUNDO, Calif., Oct. 9, 2018 -- (NASDAQ: MAT) – Today, Barbie® announces the Dream Gap Project, a multi-year global initiative to raise awareness around limiting factors that prevent girls from reaching their full potential. Research* has identified that starting at age five many girls are less likely than boys to view their own gender as smart and begin to lose confidence in their own competence. Cultural stereotypes, implicit biases and representation in media work together to further this issue. In the United States, this has been referenced as the "Dream Gap," but there are similar trends seen around the world. Girls' belief in themselves is impacted by these limiting factors, so Barbie is dedicated to funding research, highlighting positive role models and rallying a community around supporting girls through The Dream Gap Project. "Since 1959, Barbie has inspired the limitless potential in every girl and we believe that empowering them at a young age is a catalyst to unlocking their full potential," said Lisa McKnight, General Manager and Senior Vice President, Barbie. "The goal of The Dream Gap Project is to leverage Barbie's global platforms to educate society on gender biases and inspire any supporter of girls to join us as we can't do this alone." The notion of a Dream Gap is still a relatively new concept and is under-researched, especially in girls 5-7 years old. To help, the brand is collaborating with Associate Professor Andrei Cimpian of New York University to fund a two-year post-doctoral fellowship on this issue. 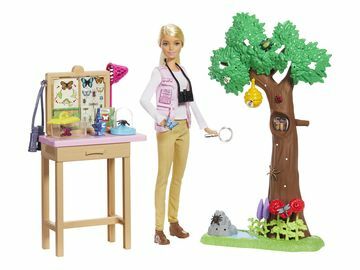 Globally, Barbie will work with local researchers to extend these studies and find out more about girls around the world. "Our research is just the beginning -- we need to dedicate more resources to this important topic so that we can better understand how to support girls," said Andrei Cimpian, Associate Professor at New York University. "This collaboration with Barbie is a large-scale, ambitious effort to explore this important phenomenon and share what we know about childhood development to a mass audience, so we can help close the Dream Gap." 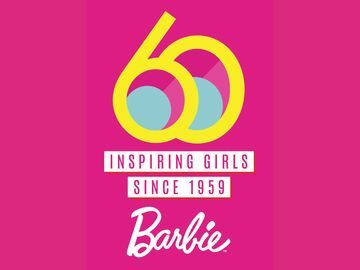 Raising awareness through impactful content developed to provide adults with resources on how they can support the girls in their lives available on Barbie.com. Barbie also created a new digital spot, that builds on the "You Can Be Anything" campaign and explains the Dream Gap. Showing girls more role models by highlighting at least 10 empowering female role models each year globally. Because telling a girl she can be anything is just the beginning, actually seeing that she can do anything makes all the difference. Leveraging Barbie as a role model and connecting with girls through inspiring content that is centered on teachable moments. By continuing to infuse purpose-driven themes in content, such as Barbie Vlogger, we are addressing issues that girls face in an unique and approachable way. Continuing to offer empowering products that allow girls to play out their dreams, while showing them they have choices. From the Inspiring Women series to highlighting underrepresented careers, Barbie is encouraging imagination, expression and discovery. Rallying partners around the world with any like-minded companies who are dedicated to girls' empowerment. To learn more about the brand's commitment, please visit barbie.com/DreamGap and join the social conversation with #CloseTheDreamGap. *Study conducted by researchers at New York University, the University of Illinois and Princeton University. Mattel is a leading global children's entertainment company that specializes in design and production of quality toys and consumer products. We create innovative products and experiences that inspire, entertain and develop children through play. We engage consumers through our portfolio of iconic franchises, including Barbie®, Hot Wheels®, American Girl®, Fisher-Price®, Thomas & Friends® and MEGA®, as well as other popular brands that we own or license in partnership with global entertainment companies. Our offerings include film and television content, gaming, music and live events. We operate in 40 locations and sell products in more than 150 countries in collaboration with the world's leading retail and technology companies. Since its founding in 1945, Mattel is proud to be a trusted partner in exploring the wonder of childhood and empowering kids to reach their full potential. Visit us online at www.mattel.com.